You can purchase multiple smart sockets to form your smart home, or just use the Smart Power Strip for your multiple appliances. If you’re curious, let’s go on checking the smart device. This is a smartphone controlled power strip designed to offer you a handy way to power multiple appliances and control them with your smartphone. As we can see from the images, the power strip features low-profile design, and comes with 4 AC ports and 2 USB ports in order to power your devices, while using built-in WiFi connectivity the smart power strip is able to join in your local network, and using custom designed app you can remotely turn on/off your appliances, apart from that, the smart power strip also features surge protection and effectively kill vampire power. After the break check out the following demo video. 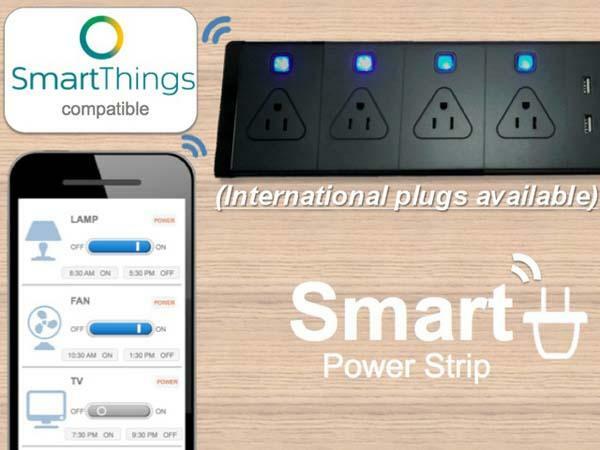 At present the team of the smart power strip is raising fund at Kickstarter. Pledging $99 will let you own the smart power strip. If you’re interested, jump to Kickstarter official site for more details.